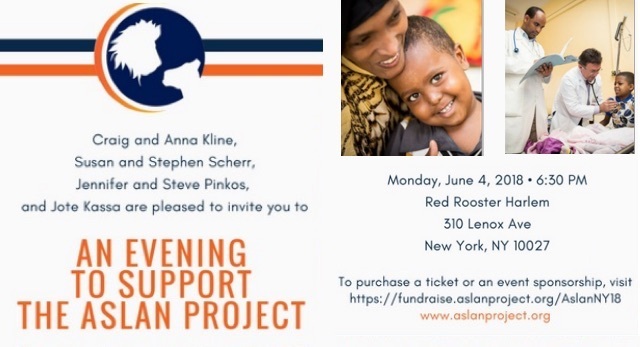 New York (TADIAS) — The Aslan Project – an organization that focuses primarily on providing access to treatment for pediatric cancer patients in Ethiopia — will be holding their annual fundraiser this year in New York City at Red Rooster Harlem on June 4th, 2018. A few years ago two children from Ethiopia, Temesgen Gamacho and Eyoel Fanta, were pediatric cancer patients at Georgetown University Hospital in Washington, D.C. when the unthinkable happened for their parents and loved ones. Both children did not survive their illness. Eyoel had been diagnosed with lymphoblastic leukemia, which was one of the most curable pediatric cancers. The loss of these two children drove their physician, Dr. Aziza Shad, who was Chief of Pediatric Hematology/Oncology at Georgetown Hospital at the time, to launch The Aslan Project in Ethiopia in 2012 and jumpstart a large-scale commitment to set up a world-class cancer treatment program for children in Ethiopia. 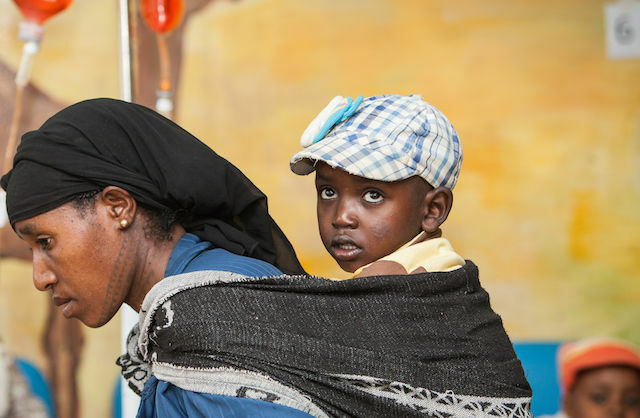 Today the Aslan Project has built an innovative and large international network of volunteer pediatric cancer specialists in collaboration with parents of pediatric patients to support Ethiopia’s pediatric hematology/oncology programs at Tikur Anbessa (Black Lion) Hospital in Addis Ababa as well as at Jimma University Hospital. The program in Addis Ababa is now being managed by Dr. Daniel Hailu Kefeni, one of the first graduates of the pediatric cancer fellowship set up by The Aslan Project five years ago at Tikur Anbessa Hospital. You can learn more and supprt the The Aslan Project at www.aslanproject.org. To purchase tickets or an event sponsorship visit The Aslan Project site.